The 2017 American Music Awards marked a night of unison, positive vibes and American pride as musicians spoke about coming together in a year dominated by natural disasters, violence and divisive politics. Kelly Clarkson and Pink kicked off the three-hour show Sunday with a performance honoring those affected by tragic events of the year, from hurricanes to hate crimes. First responders stood behind Jamie Foxx, who gave a heartfelt speech before the pop stars sang R.E.M. 's "Everybody Hurts." This year "was a year that tested our faith. In these moments of crisis, heroes emerged," he said. "As this year comes to a close, we look forward to 2018 with hope ... together we can unite as a people and a nation." "Black-ish" actress Tracee Ellis Ross said the show — taking place in the wake of multiple sexual allegations against powerful men in Hollywood, the media, business and politics — would honor women who "own our experiences, our bodies and our lives." 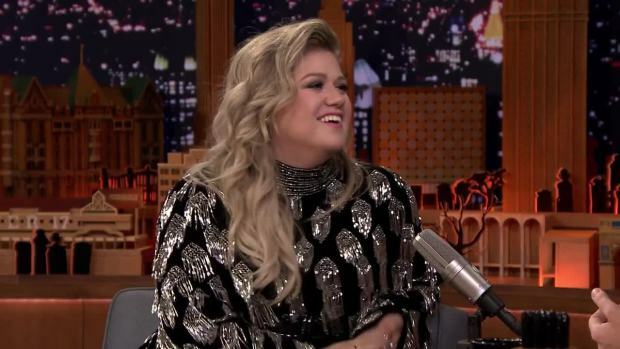 Kelly Clarkson reveals what she thought of Jimmy Fallon the first time they met and describes how she discovered she could really sing. "This is the country I know, which is of powerful women, talking about our women, talking about empowering our LGBTQ youth," said Dan Reynolds of the band Imagine Dragons, which won favorite pop/rock duo or group. "May we continue to progress as a nation as one of love and equality. No divide. There's been way too much of that this last year." Before her performance, Demi Lovato said, "There's so much hate in this world. We have to rise above and never say sorry for who you are." And while Lady Gaga performed "The Cure," a song about healing, she told the audience: "Who's gonna be there? We got to be there for each other America. Hands up!" Gaga sang from her concert in Washington, D.C. Later in the show, she was in tears when she was named favorite female pop/rock artist. "If you feel different ... don't you dare give up on who you are," she said. Bruno Mars was also not in attendance at the Microsoft Theater in Los Angeles. Mars, who is on tour in South America, picked up seven awards, including artist of the year. "I wish I could be partying with y'all," said Mars, who appeared in a video. Ed Sheeran joins Jimmy Fallon and The Roots in the "Tonight Show" Music Room to perform "Shape of You" with classroom instruments. Iconic entertainer Diana Ross was honored with Lifetime Achievement Award, and she received touching video messages from Barack and Michelle Obama, and Taylor Swift. The 73-year-old was cheerful and energetic as she ran through well-known songs onstage like a veteran, singing "I'm Coming Out" and "Ain't No Mountain High Enough," among other hits, with her signature big hair. Foxx, Berry Gordy, Smokey Robinson and others sang along, while some of Ross' grandchildren danced onstage near the end of the performance. "This is all about love," said Ross, who had several members of her family standing behind her. "This says it all. This is my family." Pink was also impressive as she continued to show her athleticism and acrobatic skills during a second performance at the AMAs, performing from the side of a high-rise building alongside aerial dancers. The K-pop group BTS, who have a feverish and fanatic social media following, earned the night's loudest applause after they performed their song, "DNA." Another highlight of the night came when Linkin Park — whose lead singer Chester Bennington killed himself earlier this year — won favorite alternative rock artist. "We want to dedicate this award to him, to his memory, to his talent, to his sense of humor, to his joy," band member Mike Shinoda said onstage. "I want you guys to take a moment to appreciate what you've got and make Chester proud." Jimmy Fallon highlights his favorite #FallSongs hashtags as Pink performs them. Selena Gomez, who had a kidney transplant this year due to her struggle with lupus, sang "Wolves" while lying on the floor in a short nightgown. Her knees, hands and forehead covered in faux bruises and blood. Christina Aguilera was shaky when she sang a medley of Whitney Houston's songs to honor the 25th anniversary of Houston's film, "The Bodyguard." The band Portugal. The Man, who sang their pop hit "Feel It Still," opened their performance with the words: "No computers up here, just live instruments." And rapper Macklemore gave his grandmother a birthday shout out at the end of his performance. Like Mars, Keith Urban also won multiple awards, including favorite country album, country male artist and country song. "Absolutely you should be sharing these, my love," the country singer said as "This Is Us" actor Justin Hartley passed two of the trophies to Urban's wife, actress Nicole Kidman, who sat in the audience. Shawn Mendes won favorite adult contemporary artist, beating Mars and Ed Sheeran. "Ed and Bruno are basically the two reasons I started singing," he said. 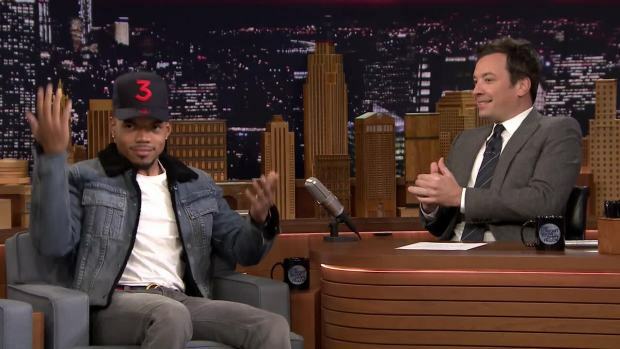 Chance the Rapper isn't ashamed of his love for Drake and reveals that he wrote three sketches for his "Saturday Night Live" hosting turn, including one co-written by Atlanta creator Donald Glover. Former One Direction singer Niall Horan won new artist of the year; the Chainsmokers were named favorite electronic dance artist; and Luis Fonsi, Daddy Yankee and Justin Bieber won collaboration of the year for the hit song "Despacito." DJ Khaled won favorite rap/hip-hop song for "I'm the One," his No. 1 hit featuring Bieber, Quavo, Chance the Rapper and Lil Wayne. While the performers at the AMAs were evenly split between men and women, the nominees were not — a reflection of the year in pop music where male acts dominated.